This is going to be a quick one, but I thought this little story was an interesting little cultural lesson! Today, the dialogue the 2nd graders were learning in class was about homestays. At some point we took a little break from the book, and the teacher told the kids of his homestay experience in California. He said that his host parents didn’t drink, especially not on weekdays. I know, you’re thinking, “So…am I supposed to think that’s weird.” Well, you shouldn’t, and the only reason I wasn’t completely confused when the students let out a collective “へええぇぇ” (somewhat like an English “Whaaaaaat? !”), is that I’ve been confronted with this strange cultural difference before. At my first 宴会 (enkai-or party you have with coworkers, usually), the teachers all asked me if I drink. Uh, yea. I drink. “Do you drink alone, like after work?” Um, no. Do you? I mean, if I’m having dinner or purposely go out with people to kick back, yea, but not usually alone in my apartment just because. Everyone thought that was super weird. In America, that’s called alcoholism. Here, totally normal. Later, the teacher from before who went to California came over and told everyone in great detail about how some Americans don’t drink at all because of religious reasons or personal choice (or because they used to be alcoholics) and everyone’s mind was blown. I tried to explain why some people don’t drink, but it was way over their heads. Not all Japanese people are like this, I’m sure. I think I just teach at a school full of sauce monsters (so glad I could fit that term into a post!). I’ve seen people not drink at parties before, but their excuse is always “I’m driving.” Because you can’t legally drive in Japan with ANY alcohol in your system, a good amount of people don’t drink when they go out. You can get a taxi or a 代行 (daikou-a special service that takes you AND your car home! ), but if you live far away or whatever (or you secretly don’t drink), you just get oolong tea or Coke instead! What do you think about that? I think in America, drinking has a bit of a stigma surrounding it, especially for certain groups of people. It’s more of a social pass-time, and when you do drink alone and in access, it means you have a problem. In Japan, it seems as though drinking alcohol is like drinking water. Only water doesn’t make you pass out cold in the street. December was a crazy month, which is my only excuse for being so late on this post. I don’t even know where to begin, so I guess I’ll start from the end. Yesterday I arrived home from the best vacation I’ve ever had. I definitely need this weekend to recover from it. The best part of it being over, though, is that I was greeted by the most adorable New Years card from my host family! Mom sent me a super cute picture of Haru (the 2-year-old son) blowing me a kiss too, so I’d say 2013 is off to a good start. Oh yea, HAPPY NEW YEAR! How was your 2012? Because mine was awesome. 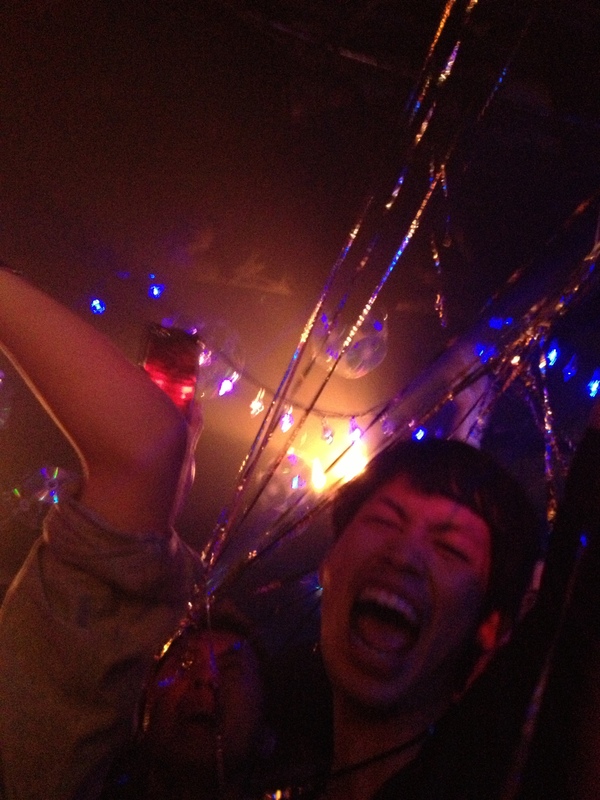 I spent New Years in Kyoto with some great people, and instead of doing the traditional Japanese shrine visit, we partied in a club in the subway. It was called (and very appropriately so) Club Metro. When we got there, I think a few of us thought it was a gay bar because there was a fierce drag queen in the corner and the DJ was playing Gloria Gaynor or something. But a quick question to the guy behind us crushed that assumption. So we rang in the New Year with a bunch of sweaty, dancing fools and listened to some shockingly great DJs. 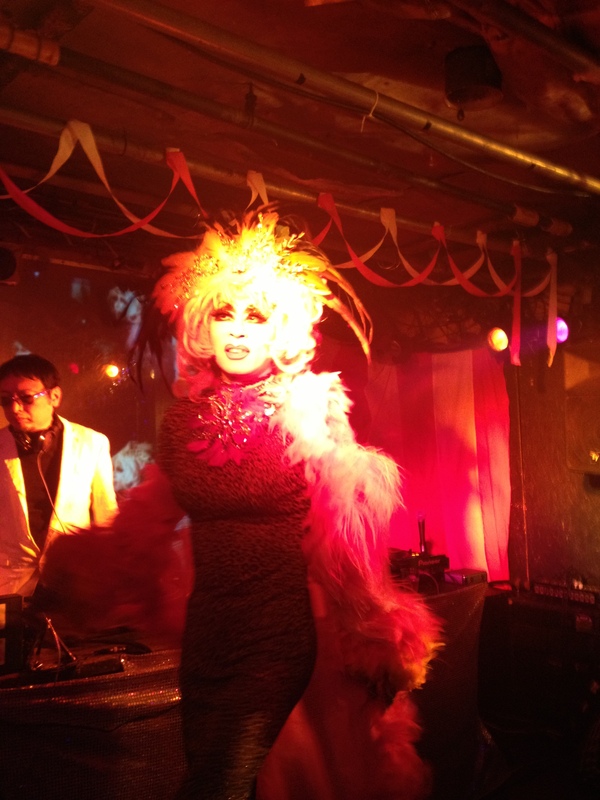 Most of the clubs I’ve been to in Japan play US top 40 and talk over all the good parts. These DJs, on the other hand, played good music…good enough to make me punch some guy in the face during a mosh. Yea, you heard me. 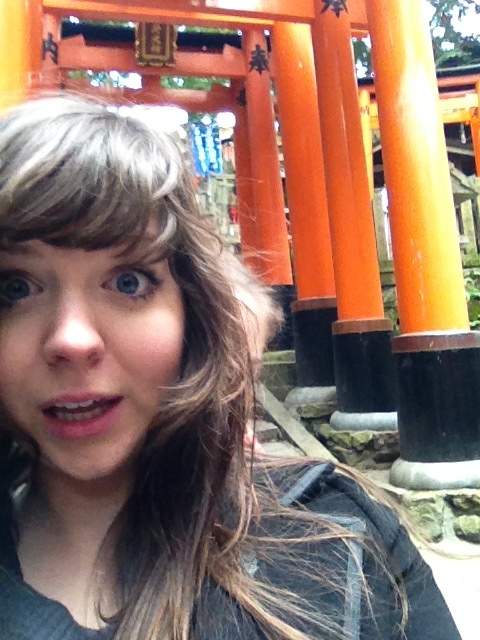 So Kyoto, temples and shrines galore. I didn’t see a maiko, but I met at least four awesome people and had a great time taking pictures like these in front of World Heritage sites. I own this country. Needless to say, I shopped quite a bit in Osaka. 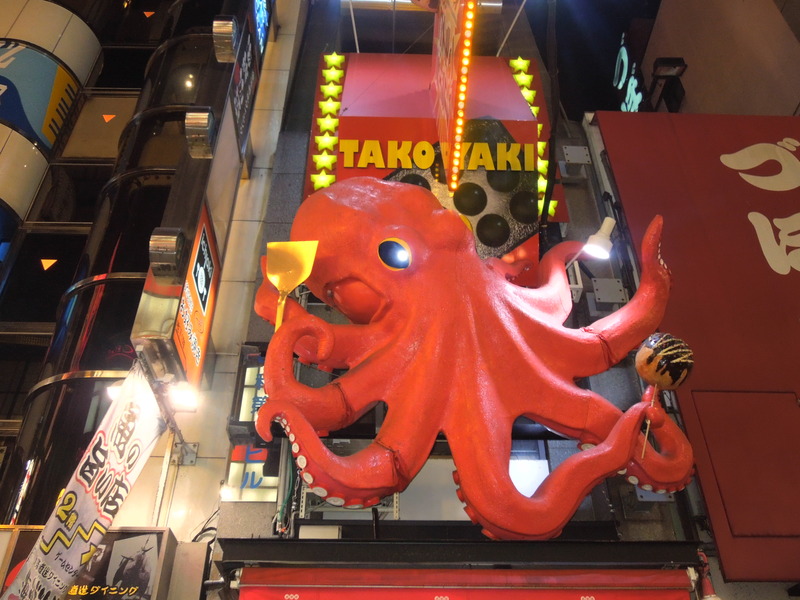 Namba is an awesome area to eat, host-watch, party, and shop. And party. There’s a pretty sweet club called Giraffe, and if you’re ever in the area, I highly recommend it. People might actually dance with you there! And they played BIG BANG, which makes a place instantly cool in my book. On the other end of the fun scale, Osaka is home to the insanely relaxing Spa World. I don’t know about you, but I’ve grown fond of being naked in front of Japanese strangers. And nothing beats sitting in 露天風呂 (rotenburo-open air bath) filled with herbal tea and talking to friends about how the people in the nearby hotel can probably see you naked. Ahh, it was probably the highlight of my trip. We also made a necessary trip to Nara, to see the deer of course. Actually, I think everyone else went to see some temple…I don’t know, I think it’s famous. Todaiji? Or something. 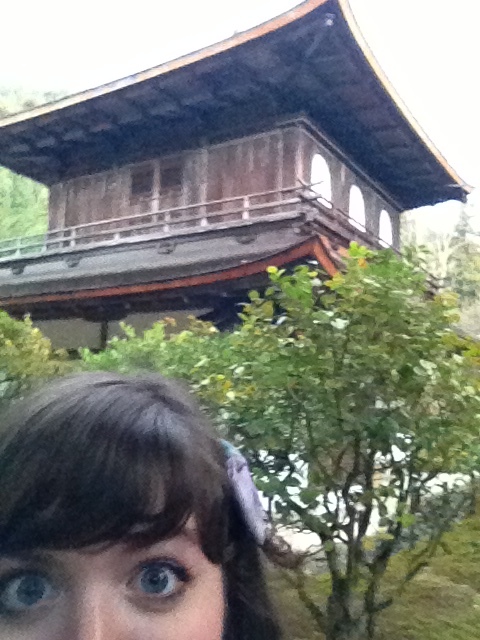 Just kidding, 東大寺 is pretty cool too, but I really was more concerned with the four-legged creatures that live around it. They are smelly and pushy and just generally not very nice, but I loved them. SO CUTE! I spent Christmas in a really weird, I’m-definitely-an-expat kind of way. 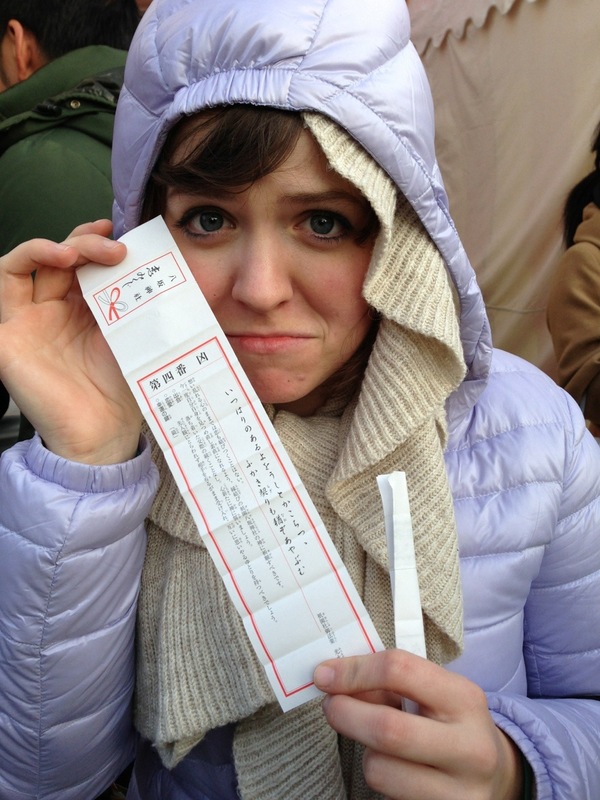 Christmas in Japan is sickening to anyone single, because it’s like Valentine’s Day on steroids. Every shop plays “All I Want for Christmas is You”, couples walk around and go to “illuminations” which are fancy Christmas light displays, and there’s that commercial, overly-produced smell of love in the air. I swear I’m not bitter. Besides, my Christmas Eve was way better because I went to a coffee shop with Rachel. 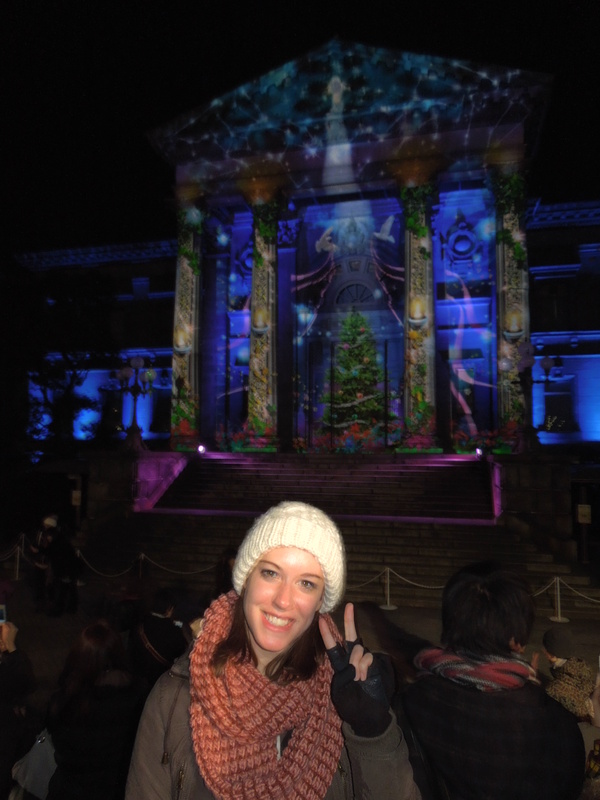 We too went to the illumination, but after a while it got really awkward because I think the cute Japanese couples thought we were making fun of them. So yea, I’m bitter. The next night, I went to Christmas dinner at a swanky hotel with my travel companions and we ate way too much food because that’s why everyone goes on vacation right? 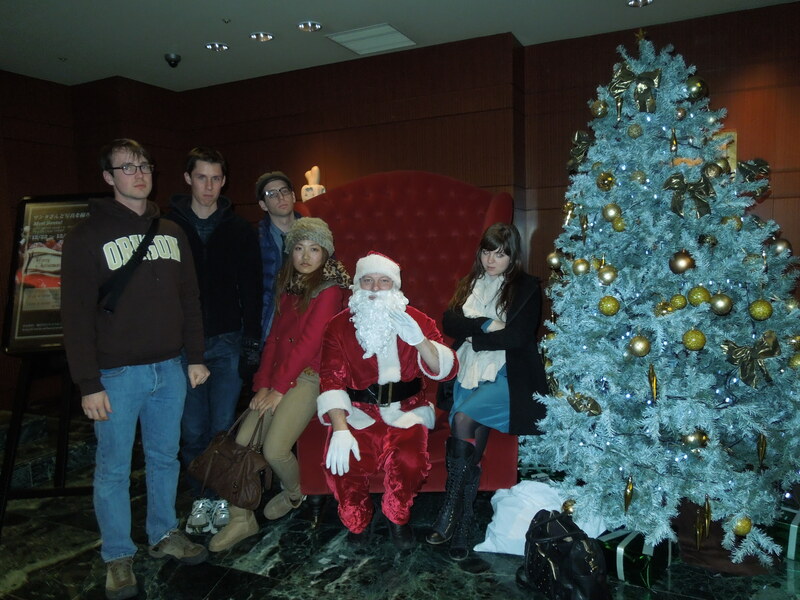 Then we took awesome photos with a real American Santa! Before Osaka, and Nara, and Kobe, and Kyoto, I drove to Kagoshima city with a friend in order to go to Fukuoka. I had every intention of taking the Shinkansen to Fukuoka, taking it back to Kagoshima, and then flying with everyone else to Osaka, but we hit a road bump. A week prior, I took my car to get an oil change, and the shop attendant told me I should get new tires soon. All I could think was that I needed money for my trip and that I wouldn’t be driving my car for two weeks anyway. So of course, that tire popped on the way to the Kag, so we had to put the donut on in the middle of nowhere Japan with little knowledge of how to do it. We figured it out, but after that I was so upset that I decided to stay in Fukuoka an extra night and just take the Shikansen from there to Osaka. What an expensive accident. At the end of it all, I took almost 10 forms of transportation to get there and back. It was expensive and tiring, but I had a wonderful time, got to know some awesome people, and learned a lot about, well a lot in the process. But that’s only the tail end of it. 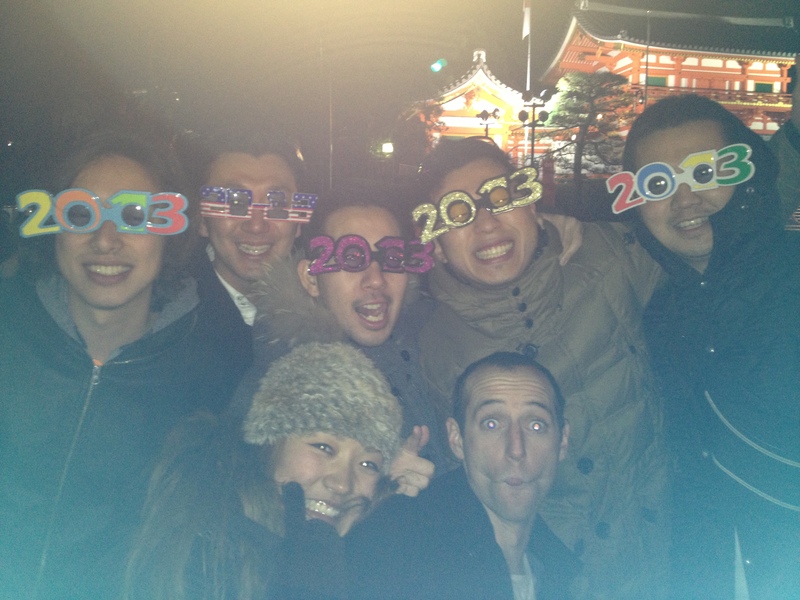 Earlier in the month I went to an end of the year party, or 忘年会 in Japanese. Actually, it sounds so much better in Japanese, because it essentially means “a forget the year gathering.” This language is so poetic. Anyway, it was rather educational because I got to see all of my teachers totally sloshed. The second party was a karaoke extravaganza and some of the male teachers managed to do somersaults in that tiny room. Seriously, drunk people in this country rock. I also ate しゃぶしゃぶ (Shabu shabu, read the wiki page, I’m lazy) for the first time. My host family is too good to me. We had a mini pre-Christmas and exchanged presents and ate Christmas cake and read stories. Haru has moved from cheek kisses to lip kisses and I don’t know why, but that makes me really happy. When I left their house, we had a ridiculously long goodbye. Haru kissed me and said “うれしい!” which means “I’m happy!” I’m happy too, Haru. So so happy. Sometimes I have to step back and remember to enjoy these moments because they don’t feel real. I don’t how I got so lucky, but it feels like even though I am away from my family, I’m not far from the family feeling. I’m making my own little home in this country and it feels really really good. Oh, and I’m officially on for another year, so I’m not going anywhere any time soon. 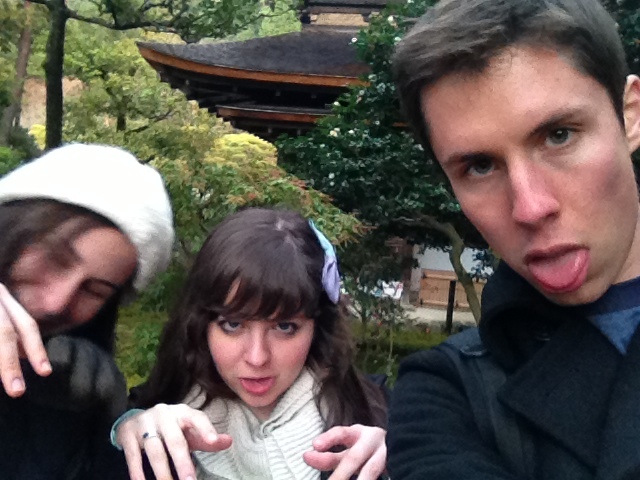 So far, I love you Japan. Let’s keep this going.